Bombay Tobak, the makers of the MBombay brand of cigars has announced their MBombay Habano line. Featuring a Ecuadorian Habano wrapper and a blend from three countries, the MBombay Habano will be launched in five sizes. 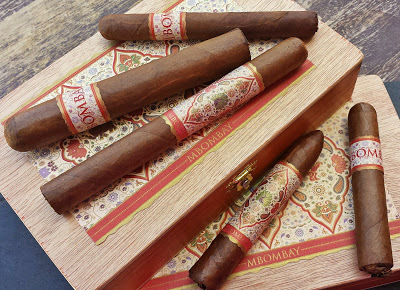 The MBombay Habano becomes the latest line offered by the company joining the MBombay Connecticut, MBombay Corojo Oscuro, MBombay Kesara, and MBombay Mora. B​ombay Tobak… creating their MBombay Brand of cigars, is truly focused on Flavor­forward blends. After receiving much success with their Connecticut Classic and Corojo Oscuro lines, they have decided to “shoot the gap” with a medium bodied, flavor­packed cigar designed once more to tantalize the palate! The M​Bombay HABANO​ is WELCOMED into their Core Line Portfolio! Consisting of an Ecuadorian Habano wrapper, Ecuadorian Criollo binder, with fillers from Nicaragua & Peru… the Habano Blend is offered in 5 vitolas: Corona, Robusto, Belicoso, Churchill, & Gordo. MSRP is from $8.50 ­ $12.50. MBombay has experienced great success in the first year of existence. The Brand supports its Retailers 100%.. refusing to sell Online, and includes Online Marketing for their Accounts. With over 65 locations and growing within the U.S., this Brand is sure to be around in the Future! 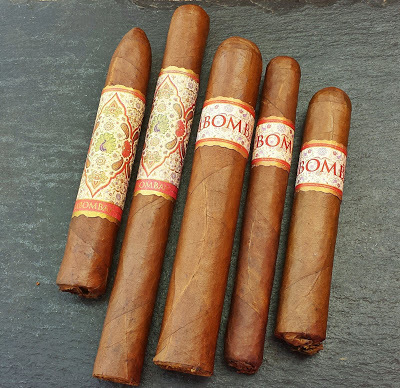 Seek the “MBombay Experience” at www.bombaytobak.com. The MBombay Habano is available in five sizes – each in 20 box counts.